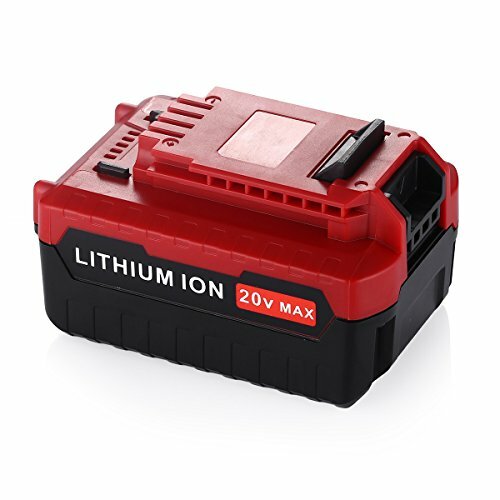 As a professional manufacturer of power tool batteries, powerextra focuses on the stability, safety and compatibility of replacement batteries. This Powerextra professional replacement battery for Porter Cable 20V is guaranteed to have a prolonged battery longevity, more practical recharge-ability and more user-friendly design,and completely compatible with OEM products. PCC700,PCC640,PCC601,PCCK602L2,PCCK604L2,PCC790LA,PCC670B,PCC700B, PCC650B,PCC660B,PCCK617L6,PCC772B,PCC710B,PCCK616L4,PCCK600LB,PCC641, PCCK640LB,PCC661B,PCCK600LBR,PCC620LB,PCC771B,PCC620LBR,PCC671B, PCCK614L4,PCCK604LA,PCC620B,PCCK617L6R,PCCK619L8,PCCK605L2R,PCC650BR, PCCK602L2R,PCCK612L2R,PCC640B,PCC791B,PCCK612L2,PCC601LA,PCC670BR, etc. Powerextra is committed to providing customers with satisfactory products and customer service. Professional Replacement battery for Porter Cable PCC685L, PCC685LP, PCC680L, PCC682L,PCCK602L2 PCC600 PCC640,completely meets Black&Decker OEM battery standards. Fully Compatible with all Porter-Cable 20V Max power tools. Top A grade Lithium battery cells,can be charged freely without memory effect,built-in integrated microchip prevents overcharging and other malfunction to prolong battery life.